Have you got a big RTA team to train? Do you regularly recruit new staff? It’s a great way to make sure that everybody has the same training. You can easily check who has completed it and how well they have done. You can even use some of the assessments as a recruitment tool. 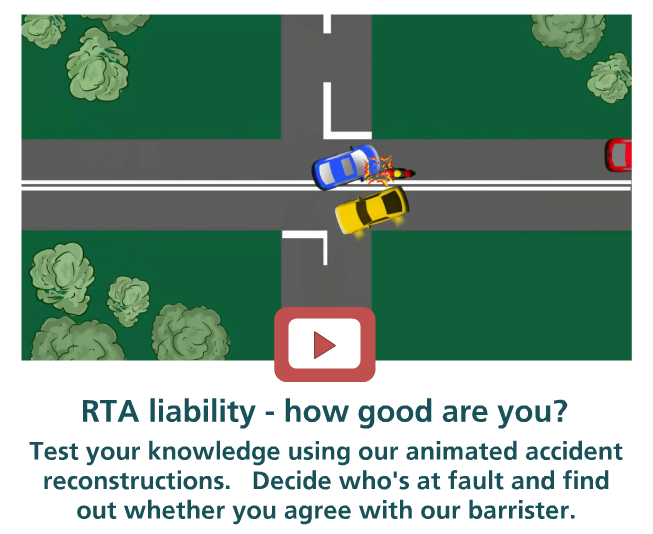 We have developed a unique and exciting range of online resources to train staff on how to assess liability in road traffic accident claims. If you prefer face-to-face training for your team click here. We have around 100 animated accident reconstructions. Delegates decide who is liable for the accident. Then they find out whether their view of liability matches that of our barrister. Feedback includes commentary on the important factors to take into account. Click to view the current accident scenarios. Our online test includes 11 accident scenarios. Delegates must decide on liability in each accident and are scored on their answers. We provide reporting and monitoring of the results. The assessments can also be used as recruitment tools to check candidates’ knowledge.